An additional 630 acres of farmland and natural areas in Huron County have been permanently preserved by property owners working with Western Reserve Land Conservancy. Andy McDowell, the Land Conservancy’s western field director, said eight conservation easements have been donated by five separate property owners. A conservation easement permanently protects the land while allowing the grantor to retain ownership. “It is an honor to work with property owners who have such a genuine love of their land,” McDowell said. The 60-acre Cherry property northwest of Norwalk, near the Erie-Huron county line in Ridgefield Township. Wayne Cherry preserved property that contains both active farmland and a well-buffered, scenic corridor along a tributary to the Huron River. 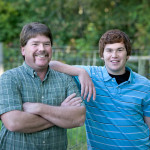 Cherry fulfilled his late brother’s wish of preserving the family farm. The 80-acre Gerber property, also northwest of Norwalk in Ridgefield Township, is used almost exclusively for farming but also contains a steep, wooded scenic section of the same Huron River tributary. 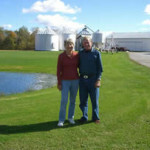 Four easements covering about 252 acres of farmland and woodlots in Fairfield and Greenwich Townships preserved by Brian and Denise Smith, who are fifth-generation farm owners. The protected lands include nearly ½ mile along the East Branch of the Huron River and tributaries to both the East and West Branch of the River. A 143-acre conservation easement granted by Chris and Clark Smith, Brian Smith’s brothers, in Fairfield Township. 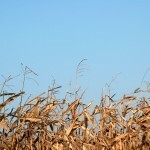 The land is used mostly for agriculture but also has a nice 50-acre woodlot. The land adjoins some of the land preserved by Brian and Denise and also protects a segment of the East Branch of the Huron River and a tributary that flows though the woodlot. 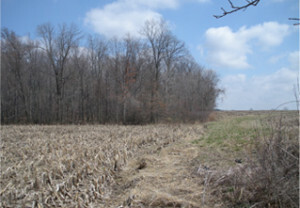 The 96-acre Kinnel easement in Hartland Township. This property is a mix of farmland and natural areas and includes a scenic ¾ -mile stretch of the Vermilion River and one of its tributaries, Indian Creek. 2009 was a good year for land preservation out of the Land Conservancy’s Firelands field office. In addition to the 630 acres in Huron County, the Land Conservancy also preserved 384 acres in Lorain County, 148 acres in Ashland County, 61 acres in Erie County, 44 acres on Johnson Island in Ottawa County and 35 acres in Huron County preserved earlier in 2009 for a total of 1302 acres permanently protected. Western Reserve Land Conservancy, which seeks to preserve the scenic beauty, rural character and natural resources of northern Ohio, has preserved more than 330 properties and more than 21,500 acres. The nonprofit organization was formed in 2006 by the merger of eight local land trusts. Family preserves nearly 700 acres in Huron Co.